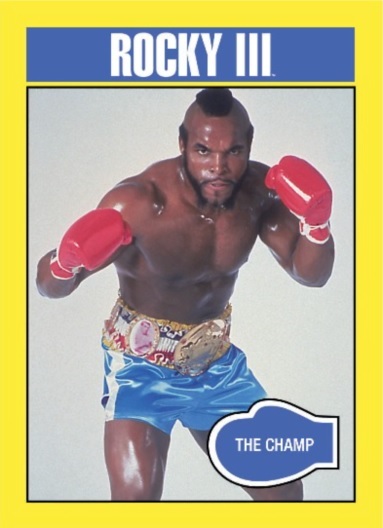 The Topps Company, Inc. today announced the release of the Rocky 40th Anniversary complete collectible trading cards set available now exclusively on Topps.com. The 330-card set will include images from the all Rocky films, including Rocky, Rocky II, Rocky III, Rocky IV, Rocky V and Rocky Balboa, and will feature a card design inspired by the Topps Rocky II product. It is the first time Topps has released a complete set that included all Rocky films. A highly limited number of Sylvester Stallone autograph cards are also randomly inserted in sets, with four different image autograph cards included.